Nigerian 4G LTE provider Swift has just launched a new Wifi service called Red Cheetah. This free WiFi hotspot has been officially launched in Lagos, Nigeria. 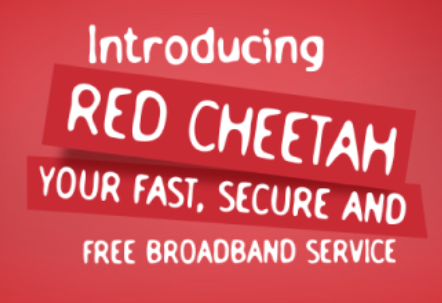 Red Cheetah has been in testing mode for the past 2 years and now, the company has decided to make it available for the general public. This service is absolutely free but you will be disrupted with Ads, because that's the only way you can pay back. Red Cheetah will allow you to register multiple devices daily. The service was planned to be totally unlimited but as it's still new, it will take time for it to be unlimited. For now, each device comes with 1GB data cap. Red cheetah is currently available in about 500 locations (500 buses, 50 restaurant and 2 malls). According to the company, it will be available in 10,000 locations within Lagos state. How Do I Get Access to Free Browsing Services from Red Cheetah? Browsing can only be accessed in areas where the service are available. Then Download Red Cheetah app from Google Playstore and register. The app is currently available for Android. Windows and iOS version of the app will be available within 3 months. wow, this is nice and I see it as new development and it means that our country is progressing. This sounds too good to be true, but I'm gonna keep my fingers crossed till it gets to my area.